Following the promo for the second half of The Walking Dead Season 7, AMC has debuted a new clip as well in which Rick and Daryl begin to plan a war on Negan. The network today also released the official key art for the second half of the season, which you can view in the gallery underneath the clip. 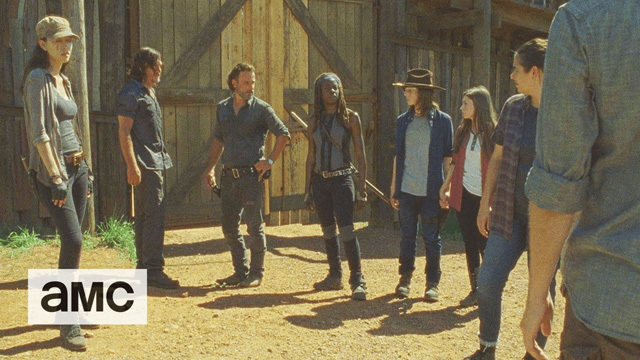 The Walking Dead will return on Sunday, February 12 at 9:00 p.m. ET/PT, as announced during last night’s Talking Dead following the mid-season finale. The second half will consist of eight episodes. The Walking Dead, which remains the number one show on television for a fifth consecutive season, is executive produced by showrunner Scott M. Gimple, Robert Kirkman, Gale Anne Hurd, Greg Nicotero, Dave Alpert and Tom Luse. If you missed the most recent season of The Walking Dead (or if you just need a refresher), be sure to check out our season seven recaps.